May I open my eyes to a secret which always puzzle me? Atoms – they are the basis of this wonderful universe. It is said that there are millions and millions of atoms in our body. Once they combine and work together ‘you’ become ‘you’ and ’I’ become ‘I’. But unfortunately none of these atoms are aware of their existence. In fact when that coordination is lost the individual is dead or starts to die. Oh!! Now I start to admire Chemistry. What an awesome subject it is! In my school days I never realized that the whole universe is built upon that noble subject. (If I had known then, I would have created some wonders in my records ;), just kidding) . How many cells are there in the tip of my finger while I am typing this post? How many atoms will there be in those cells? Lakhs and Lakhs. But it is so sad that none of those atoms know who I am.. I believe there is an intelligence. I call it an innate intelligence. It doesn’t work on a cognitive level. It works in harmony with the universe. It is a necessary intelligence because it is required for the world to exist. I am reading a book that demonstrates each of us has 3 brains. Cognitive (traditional brain), enteric (gut brain) and heart (emotional brain). There is a neural system in each of these regions demonstrating the physiological existence of each “brain.” The book then demonstrates how imbalances in the communication among these brains leads to all types of physical and emotional disorders. We are so much more complicated than we realize. Of course. It’s called mBRAINING Using Your Multiple Brains To Do Cool Stuff There are many technical components, but the author helps you skip over it if you don’t have the technical background. thank you.. i would like to go through the same..
That you have recognized the wonder of the atom and can see that the wonder in you is one and the same, then that is good enough for the atom… Mutual admiration and respect as through your writing is acknowledgement supreme! Thank you so much taruna. I am so glad with your comment. thanks Amrita. I am glad that you found it interesting..
and awareness came to me. Thank you. Niece piece. :).. I can’t say like I won’t agree with you..but i am confused…I do like to believe that these atoms are conscious, but something puzzles me..
yes..we are held together by some unknown forces, probably the same thing which unite the universe..
Every day I became more aware of my existence . When I look around every body already knew what is new to me. Yesterday I learned about atom, Today I saw awesome post on it. !! What a coincide, this is the same topics I had a lecture on in my environmental class yesterday- Atoms. It’s amazing all the miniature things that make up our body. It’s a wonderful coincidence. .in fact I had drafted this post months back and it was yesterday only, I could post it..
Really deep thought. 🙂 Happy to find such good thoughts here. Have you ever thought of metaphysics? 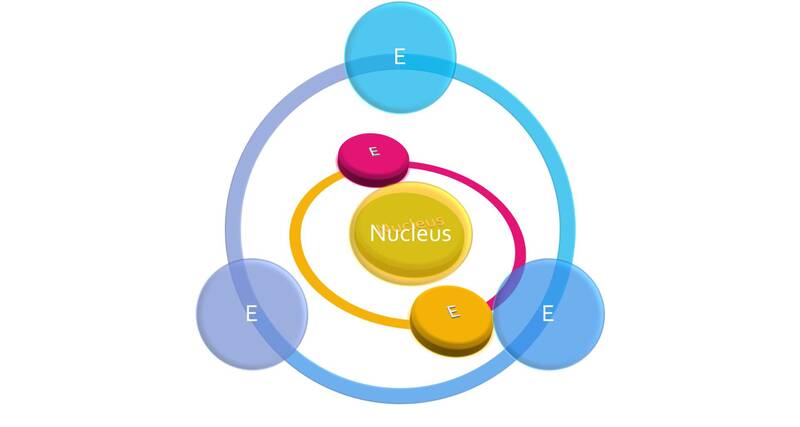 That ‘you’, ‘I’ and all other particles and people came from the same atom? How about that we are not aware of it? No I learnt literature and philosophy. I think every science give spark to some philosophy. We seem to be more than the sum of our parts. Could humanity be more together than as separate individuals, I wonder? The order and predictability of the universe amazes me, too. Something deep. 🙂 really loved it. You may have come upon something brilliant. I can see new science studies emerging upon your theory. If they become aware of their existence we may learn how to get them communicating. Ah, you are on to something. Present it to the science board and get some backing -then science will go forth. Great post! The older I get, the more I love science. Intriguing how the body and mind work together. I sure hope my atoms don’t start dying soon. my goodness. it’s such a great complement.. And I am pretty happy that you understood my thoughts. Awww. I was right there with you -but then I felt you made it easy to see. thanks a lot. atoms are always wonderful..
Hey..nice post. A different perspective, excellent! It’s better not to be known about you for your atoms,because they may fall in love with you and flirt with you..